We have moved to the new building in 1st October 2015. European aircraft manufacturer Airbus SAS has chosen local engineering solutions provider SDMK Sdn Bhd as one of its global suppliers of jigs for its composite repairs. 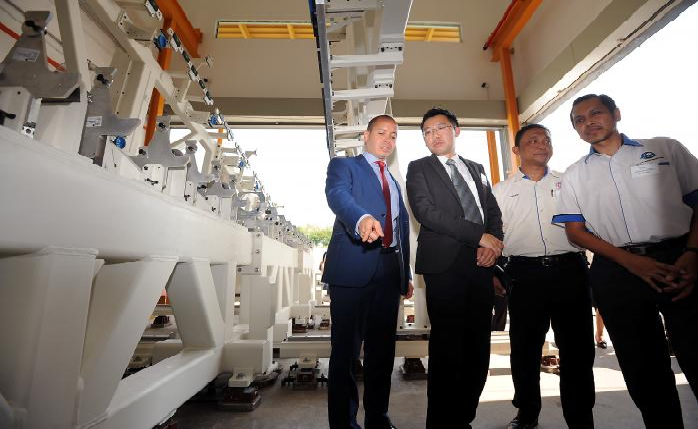 SDMK MD Yew Seik Wai said the company was awarded four packages with one jig for each package, where SDMK will manufacture jigs for composite repair of aircraft rudder and elevator for the A320 and A330 programmes. “This is a repair station we are building for a centre that Airbus started in Thailand,” Yew told a media briefing in Shah Alam yesterday. He said the manufacturing of the jigs started in October last year and the company hopes to deliver the finished product in a year’s time. Yew, however, declined to disclose the value of the Airbus contract. “We hope there will be more future packages (from Airbus) based on what we have delivered,” he said. SDMK’s selection is in line with Airbus’ overall strategy to develop a broader industrial and services footprint especially in Asia. Airbus International Cooperation Malaysia and Singapore chief François de Bortoli said Malaysia is an important partner for Airbus for supplies of composite structures, design and analysis, maintenance, repair and overhaul (MRO), and aircraft engineering and repair services. Airbus, he said, is also thankful to key local institutions like Majlis Amanah Rakyat (Mara), Aerospace Malaysia Innovation Centre (AMIC), Malaysian Industry-Government Group for High Technology and Malaysian Investment Development Authority for the support given so far. He said Airbus expects the Asia-Pacific region to continue to lead demand for new aircraft over the next 20 years. In its recent forecast for the region, the company said passenger traffic is expected to increase by 5.6% and this will require some 12,800 new aircraft valued at US$2 trillion (RM8.41 trillion). Airbus said the demand for its aircraft will represent 40% of global orders for 32,600 aircraft over the next 20 years. In the last 10 years, Airbus led in sales in the Asia-Pacific region in both the single-aisle and widebody markets. Long hours and rigid work practices don’t necessarily translate to a productive workforce. A proponent of the flexible workplace, Yew Seik Wai, founder of SDMK, an engineering services provider, says it’s the results that matter most. LIM WING HOOI reports. PEOPLE become entrepreneurs for a variety of reasons — from wanting to become the next success story to fulfiling the desire to have control over their lives. For Yew Seik Wai, 33, the founder and managing director of engineering services provider SDMK, he just wanted to spend more time and be close to his family. That was a driving motive behind the company’s founding, and it’s a core principle in how Yew runs his company. 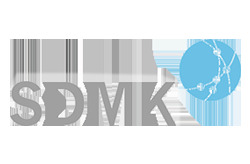 In its day-to-day operations, SDMK emphasises performance and productivity, rather than fuss about people “being in the office”. As far as Yew is concerned, clocking in and clocking out according to prescribed hours can, in fact, be counterproductive. The company has 40 workers on the payroll, mostly engineers of various fields. After all, a lot of people get stuck during rush hour because of this. As such, reporting to the office at nine o’clock sharp is not important in his company. “The office serves as a gathering place for team discussions, but other than that, as long as our staff perform and meet the key deliverables, they can work from anywhere, anytime,” says Yew. He adds that work-life balance is important no matter how busy one may be with work. According to Yew, his workers can start the work-day earlier or later, depending on their workload and personal commitments, like sending the children to school, so long as it does not affect their work. Yew started SDMK in 2011 after two stints as an employee: first, at a multinational company (MNC) involved in manufacturing microprocessors; then, at a local company that made aerospace components. Both jobs required that he travelled a lot, taking him far from his family frequently. This is the assembly area at the company’s new 8,200 sq ft office at Taman Perindustrian Axis, Shah Alam. “I started as a development engineer involved in developing the process for manufacturing microprocessors. It may seem like a simple process, but we looked into the objectives and details. And it involved nano-level accuracy and manufacturing at high volume and high speed — to the tune of 3,000 microprocessors in an hour,” Yew says. Before he started working, the mechanical engineering graduate from Australia mulled his options: Should he settle down in Australia and pursue a doctorate in engineering? Or should he come back home to Malaysia? Yew thought about it and concluded that what he really wanted was to further his knowledge in the application of engineering know-how. And coming back to Malaysia to work for the company was the best way to achieve that. Yew thought he would be based close to home in Kuala Lumpur. But as it turned out, he ended up being posted to the company’s manufacturing plant in Penang. And he had to travel abroad a lot. “I spend over three months a year in the US, China and Hong Kong, sometimes during Chinese New Year. When I resigned in 2009, I realised just how much I had been away — a total of seven years since I started studying in Australia since 2002. I had missed all the family activities, as well as some of my close friends’ weddings,” he says. Immediately after he quit his job, Yew was headhunted and offered the job of assistant manager dealing with clients at a local aerospace components manufacturer. The SDMK team has to be very detail-oriented to meet the strictest standards of their clients. “I wanted a break, but since there was an offer, and even though the remuneration package was not comparable to my previous position, I took the offer. It was only six minutes’ drive from where I stayed,” he quips. In 2011, following requests from old contacts, Yew saw the opportunity to start his own business, offering engineering consultancy services to companies interested in going into manufacturing — from processes to facilities to training. “I informed my superior and said I wanted to resign. But the company asked me to stay on, saying I could run my business on the side since there was no conflict of interests as my company would only be a consultancy as opposed to a manufacturer,” he remembers. Together with three partners who had expertise in manufacturing, software engineering and marketing, Yew managed to rustle up RM100,000 in capital. They set up SDMK Sdn Bhd and rented a 1,000 sq ft office in Puchong, Petaling Jaya. Yew says SDMK stands for System, Design, Manufacturing and Kernel (SMDK), and the aim is for it to be a centre of excellence for engineering. “I didn’t actively seek out customers during this time. Only when there were request would I arrange my time — be it taking leave from my job or meeting with clients after office hours,” he says. But as Yew rose to the position of director of business development at the aerospace company, he found that he again had to spend more and more time overseas, mainly in China and Singapore. In 2014, he tendered his resignation and started to focus fully on his own company. Soon, he began to get larger projects. The team gets together to discuss progress and to brainstorm on solutions as and when the need arises. When SDMK secured a contract with a UK-based valve and pumps manufacturer for the oil-and-gas industry who wanted to set up a manufacturing base here in Malaysia, Yew moved his company into a rented 3,000 sq ft shoplot in Putra Heights, Petaling Jaya and hired 10 workers for the project. This contract has brought in revenue worth more than RM5mil so far, and counting — the job is still on-going, and they charge by man-days. “I realised we needed to do more,” says Yew, as he began looking at growing the company. Coincidentally in 2015, he won a major contract from an aerospace company that was looking at establishing repair stations for their commercial aircraft in Thailand. “We went through thousands of engineering drawings and did analysis, followed by a proposal on how it could be done. As they were European-based designs, we needed to take into consideration material sourcing and also simulating the compatibility with their requirements,” he says. To deliver the four repair stations between October 2015 and October 2016, Yew says he had to prepare the facilities for his team to do their work. He invested RM6mil and moved the company that same year to their current office, an 8,200 sq ft place at Taman Perindustrian Axis, Shah Alam. A worker monitoring a machine used to manufacture components used in aerospace and O&G industries. Right now, SDMK has 40 people on the payroll, mostly engineers from the fields of mechatronics, mechanical, manufacturing, software and others. Apart from their major clients in the O&G and aerospace industries, they also have 10 other clients from the general engineering industries. Moving forward, Yew says they will be expanding into the distribution of manufacturing consumables such as cutting tools. “We already have three other subsidiaries in specialised activities such as manufacturing services, consultation and training services. We intend to keep our teams small, with clear accountability to ensure that they can focus well on clients,” he concludes. Doing so, he adds, would enable everyone to spend quality time with their family. Certainly, for the time being, Yew is one happy boss who is happy to be able to enjoy most weekends with his family.